Women in the workforce have come a long way in what, comparatively speaking, is a concise amount of time. The business world is still, by and large, a man’s world, but the numbers speak for themselves: 60% of today’s women are employed, almost twice as high as it was in the 1950s. The percentage of men working has since dropped from the 1950s, which was then 84%, down to 73%. There’s no arguing 13% difference between the number of men and women in the workforce is much better than it used to be. However, there’s still an imbalance in the average office ratio of men to women, and because of that, problems still come up related to gender. Adopt and firmly enforce a zero-tolerance violence and sexual harassment policy. Businesses that encounter frequent violence and harassment allegations are less productive and can lead to a lot of other problems, such as lawsuits and a bad reputation. By implementing a zero-tolerance violence and sexual harassment policy, this sends the message that such actions are not only unwelcome in the office, but inappropriate and cause for discipline. Not only do you need a solid policy stating that violent and sexual behavior is not tolerated, but also a workshop to educate the employees. This opportunity allows them the opportunity to see what constitutes as violent or sexually harassing, and ask questions, so there are no uncertain ideas about what is or isn’t against company policy. Mandate a program each year to keep the material fresh in everyone’s minds. Train management in appropriate ways to handle a situation in which one employee has been violent towards or sexually harassed another. Having a policy and making sure everyone understands it is a great start, but people sometimes ignore the rules, and you need to be prepared for if and when that happens. Having on staff a human resources employee who has experience with discrimination or harassment would be an invaluable resource. Preparing management as well to handle discriminatory behavior ensures that the situation will be addressed, and the offending employee disciplined. Employees and customers alike should be able to access benchmarking reports and certifications that the company earns by practicing gender equality. It keeps businesses accountable and sets them apart from the competition. 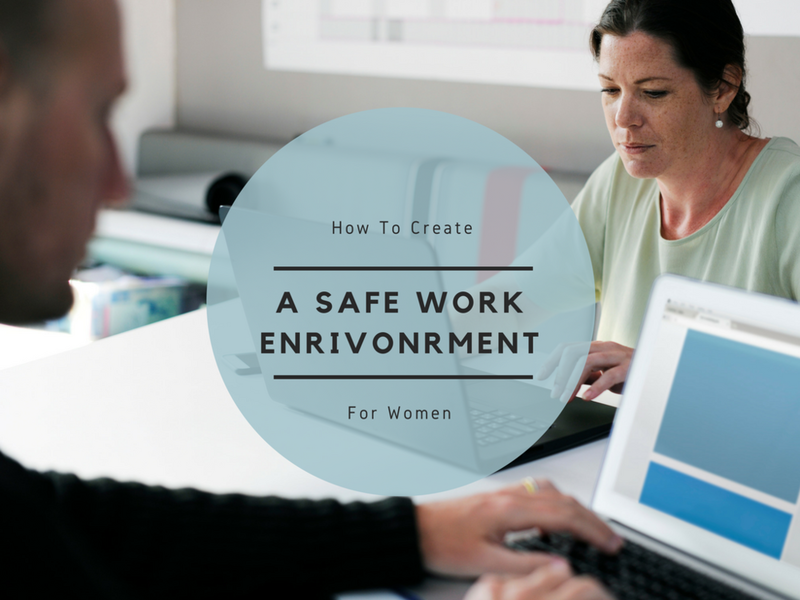 A work environment where female employees feel safe and valued make for a better company, a more successful business. In short: a company can only benefit from giving its office an atmosphere of diversity, respect, and acceptance.